Check out the stunning new visuals from Raye Zaragoza that were just premiered via Billboard. Entitled ‘Driving to Standing Rock’ the track was written on Zaragoza’s journey to Standing Rock and has since become an anthem for standing up and fighting for what you believe in. The video diary was taken during the singer's national stadium tour with Dispatch this summer, where she performed as a one woman band to hundreds of thousands. Zaragoza is known for her viral music videos which collectively garner almost a million views. She has been deemed as a voice for young women from a multi-cultural background. Zaragoza’s past anthem ‘In The River’ has been awarded No.2 protest song by a person of color by Paste Magazine. She has also been featured on numerous Spotify playlists including, Cyndi Lauper’s Protest Songs playlist. Zaragoza will also be doing an upcoming TedTalk about multi-culturalism in the entertainment industry. Writing about social issues comes naturally to Raye. "As a woman of color in America, social issues are things you deal with and see every day of your life," she says. "I write about my experience and oftentimes my existence has been laced with injustice." Raye performs her music all over the United States as well as across Europe, where she spent five weeks touring in summer 2017. Her music has been featured on Democracy Now! and on numerous lists of the best modern-day protest songs, including those by Paste Magazine, What Culture, and Overblown. She has also performed live sessions for Paste and Daytrotter. At SXSW 2018, Raye spoke about her loyal fanbase and maintaining an independent career on a panel entitled "Serving the Sacred Bond" hosted by PledgeMusic. 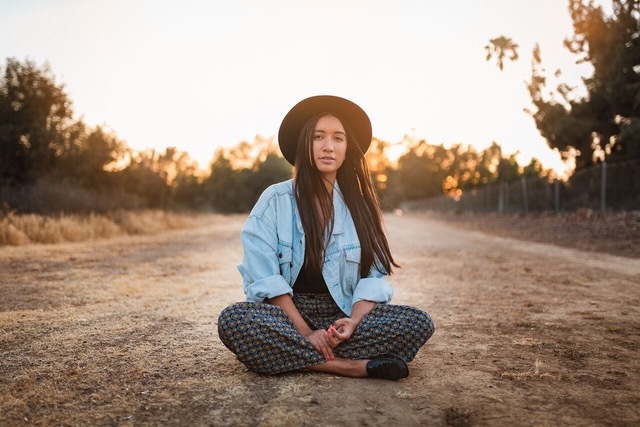 Zaragoza has just finished a national tour, where she was supporting Dispatch and Nahko and Medicine for the People, including dates at Red Rocks and Central Park Summerstage. Check out her website for her upcoming tour dates.